Mine injuries were very frequent. People with blown-off feet and legs, shrapnel from shelling, splinters of steel flinging about, rifles and machine guns. The provincial medical effort in South Vietnam bookends New Zealand’s involvement in the war. In 1963, United States pressure for a show of faith in the escalating war coincided with a growing protest movement. Up for re-election, Prime Minister Keith Holyoake attempted to please both sides by dispatching a civilian surgical team under the Colombo Plan. 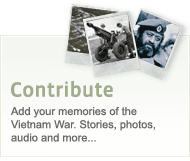 Its members were among the last to leave when Saigon fell to North Vietnam in 1975. When 1 New Zealand Services Medical Team set up camp at Bong Son, 100 kilometres north of the civilian team, in May 1967, the facilities awaiting them were basic. The hospital building had room for 20 patients, with another 80 housed in tents. ‘The room used for amputations also hosted casualty and outpatient consultations. Water and electricity supplies were erratic. Surgical procedures routinely halted mid-flow, in darkness, while the antiquated diesel generator was revived’. A new hospital, begun in 1967 and finally opened in 1969, provided improved facilities, though there were maintenance difficulties. As always, the Kiwis were resourceful: at Phu My a medic enlisted a captive enemy labour force to erect a new dispensary.